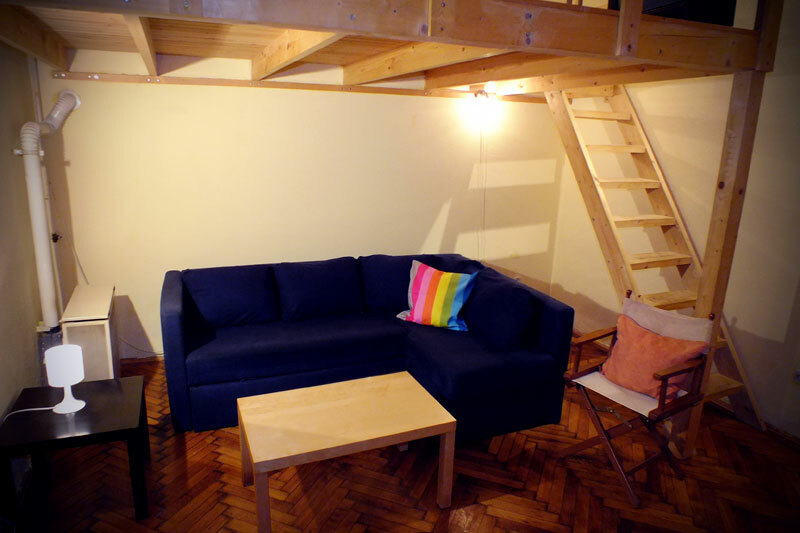 The apartment is located in an ancient style building (late '800) 10 meters from the "Vaci utca", where you'll find a lot of places frequented by "writers and artists" of the last century. The accommodation is situated 500 mt. from the Metro "KALVIN TER" and 600 meters from the bus stop "Ferenciek TER" ideal for quick and cheap transfers. It is also just 190 meters from the shore of the Danube. The windows overlook the quiet inside. The apartment ideal for singles and couples. 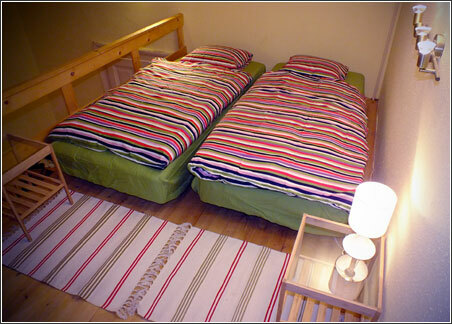 The apartment can accommodate up to 2 people. The apartment consists of a living room of 15 sqm. 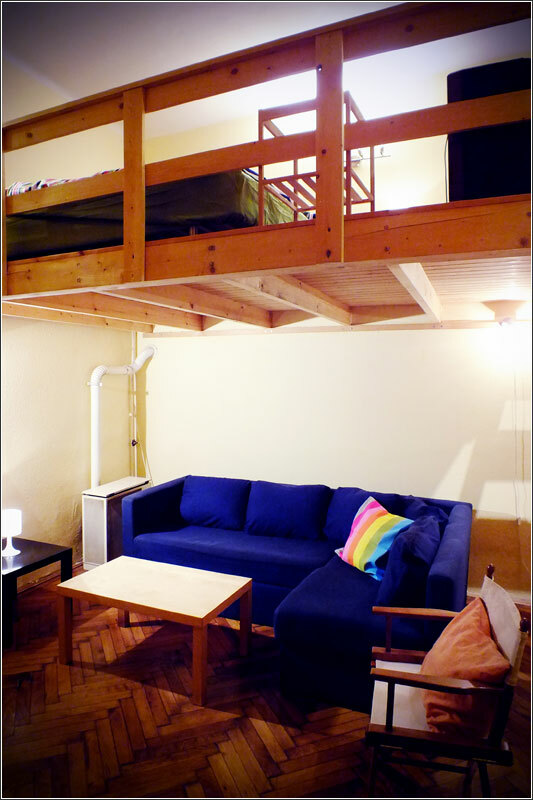 with sofa, clothes hangers, wardrobe and mirror, and there is a loft in a Hungarian classic style untreated wood, where there are two beds that can become a double bed. 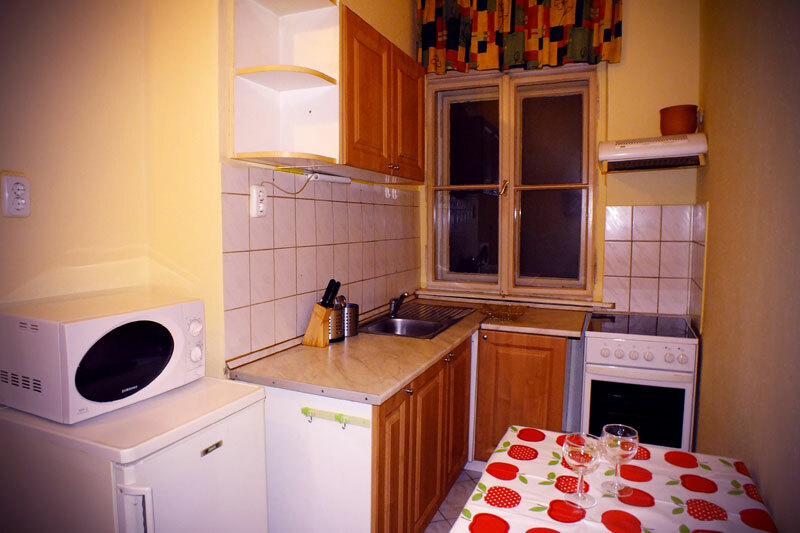 There is also a kitchen (complete with everything you need for cooking) with table and chairs to eat comfortably and a bathroom with shower. 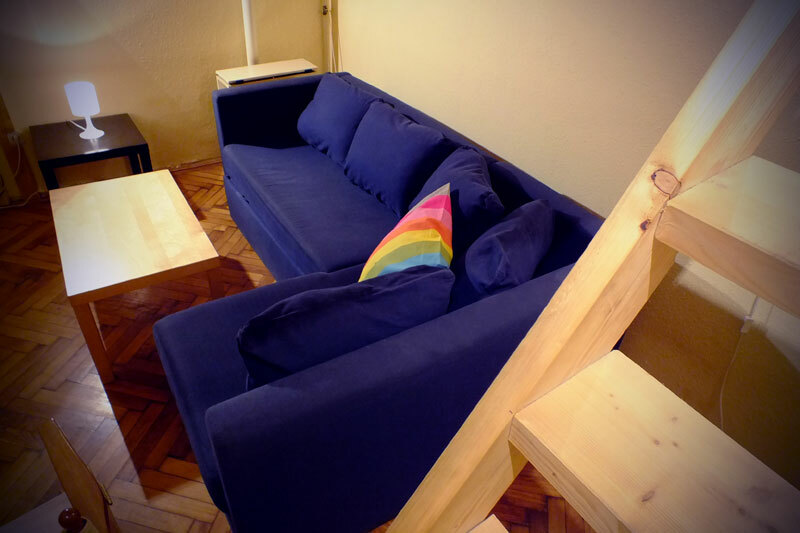 Recently renovated and equipped with large windows, the apartment enjoys medium brightness. It is warm in winter thanks to the functional heating system and cool in summer thanks to the thick walls of " the past" and the natural ventilation. 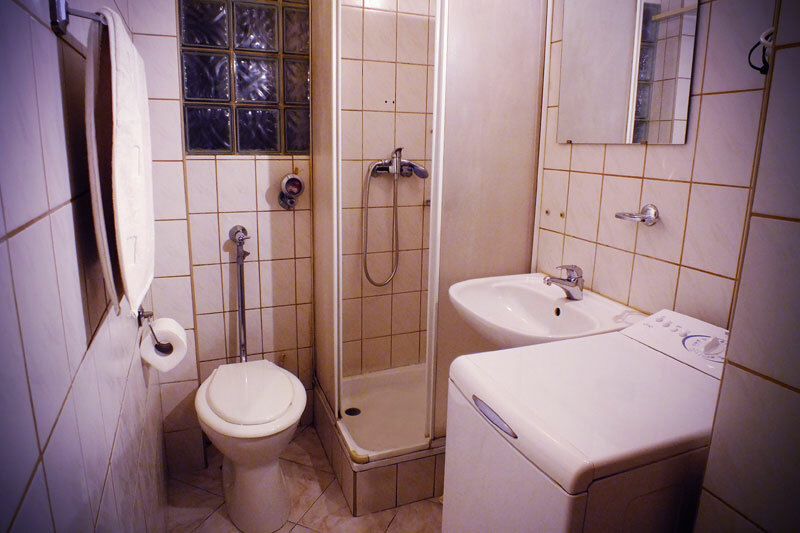 Located in the heart of Budapest on the street "Molnar utca", few meters from the Vaci Utca, the pedestrian area of the city center, it is also located between the "St. Stephen Basilica" and the "Chain Bridge", between the metro station "Ferenciek TER" and "KALVIN TER". The apartment is finished with curtains and wooden floors. The windows have the characteristic of being double (inner window and outer window), thus ensuring 'a good soundproofing from the outside. The apartment is very quiet because overlooks the internal courtyard.